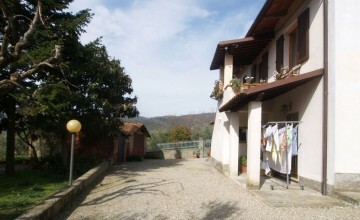 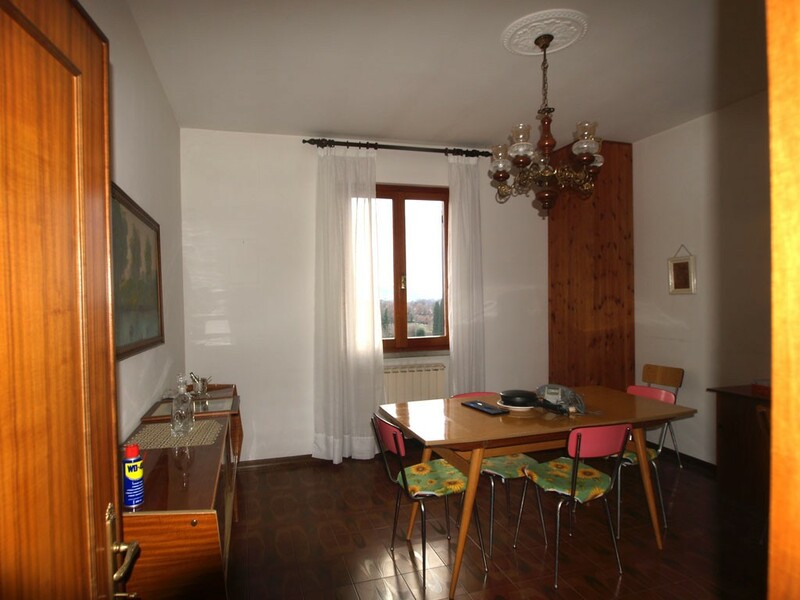 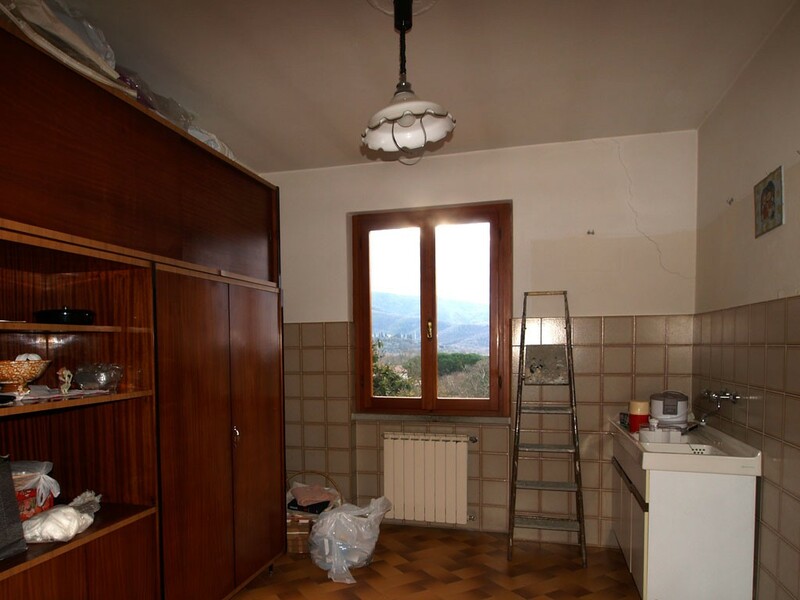 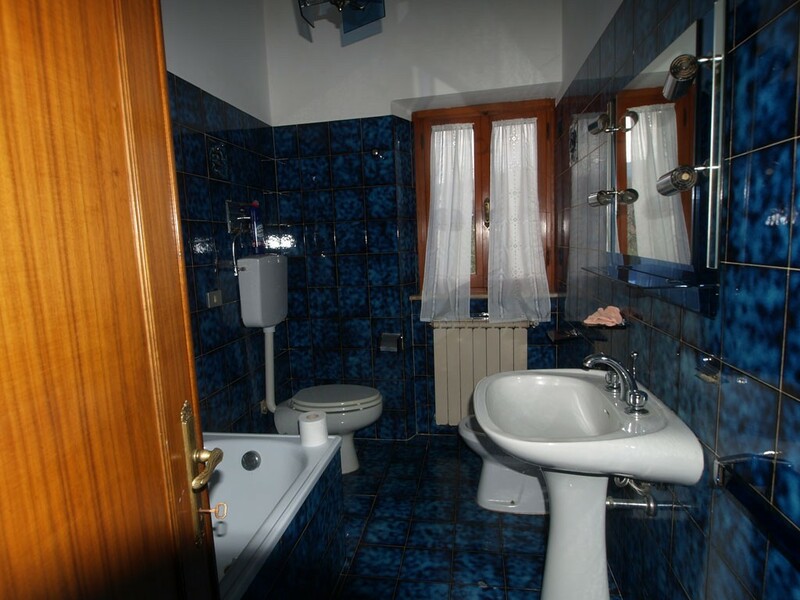 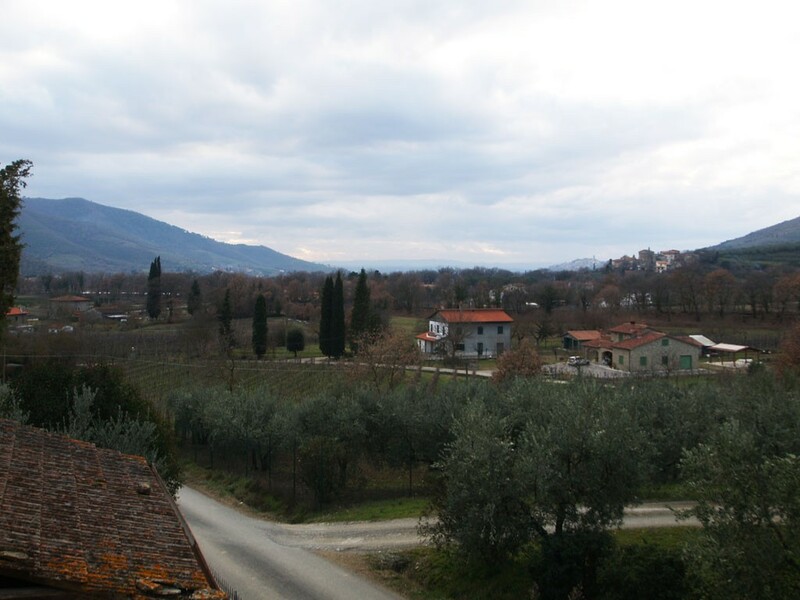 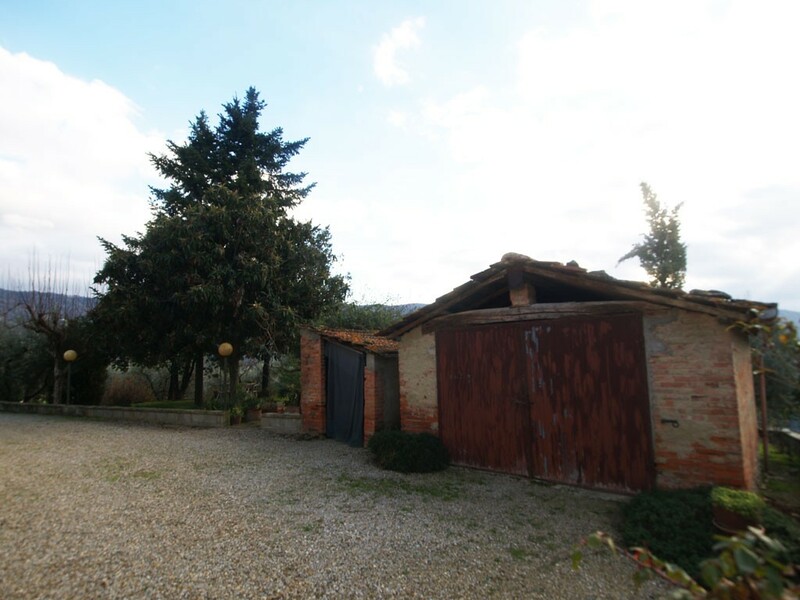 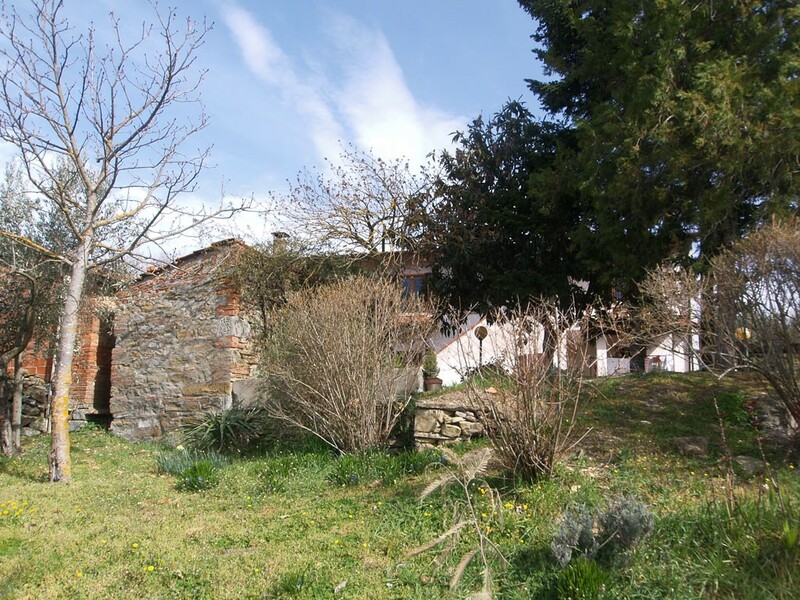 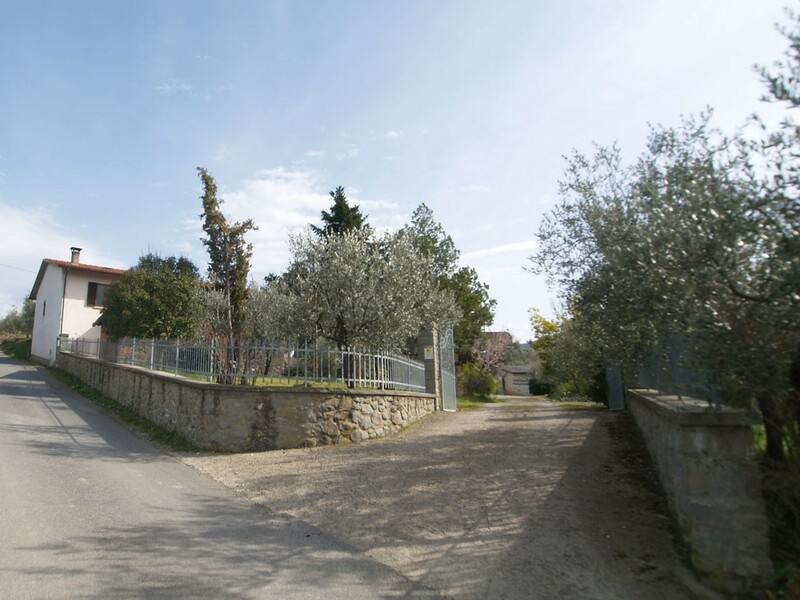 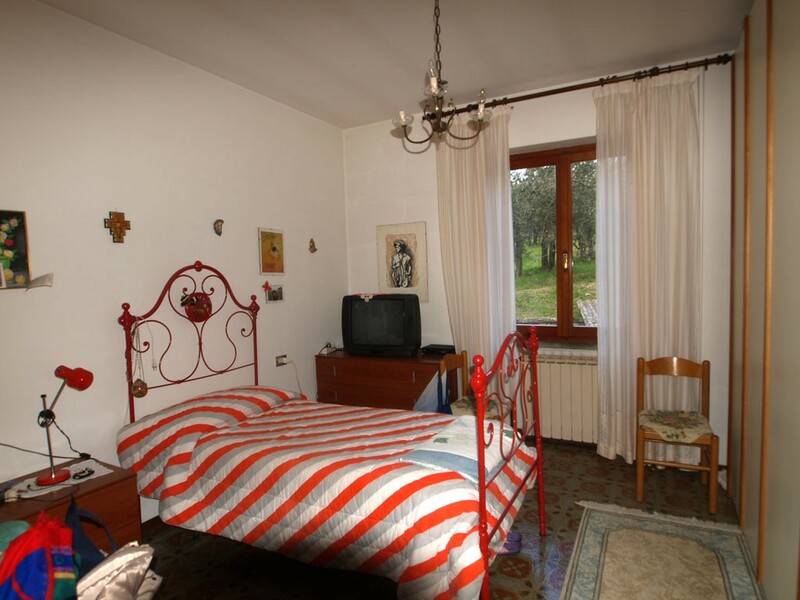 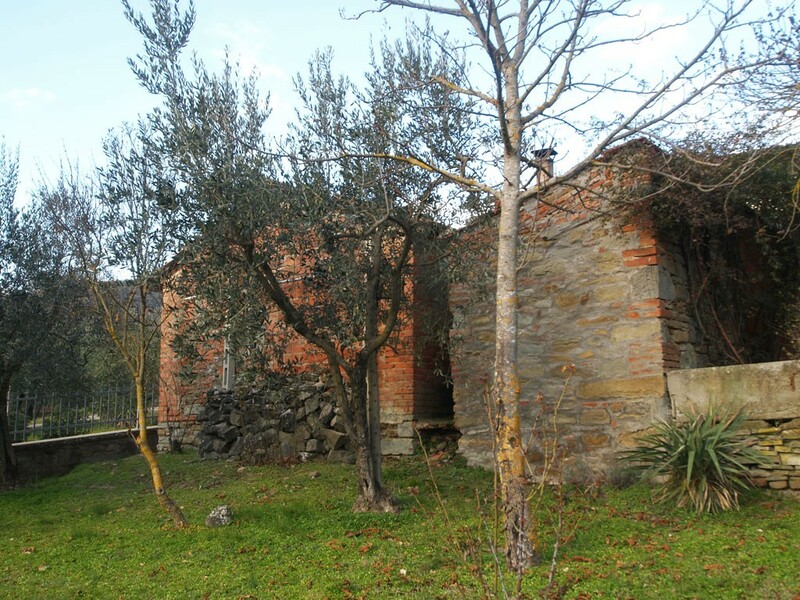 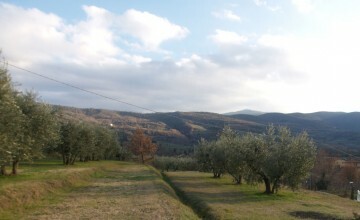 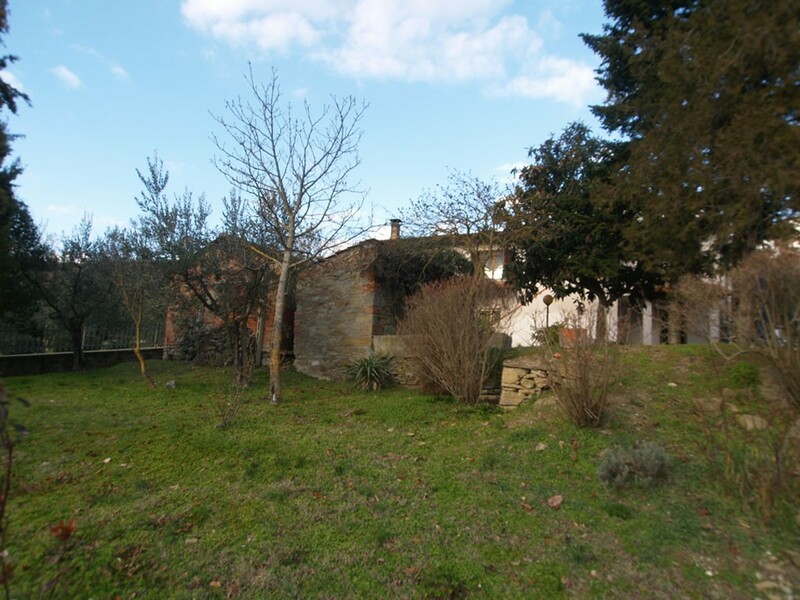 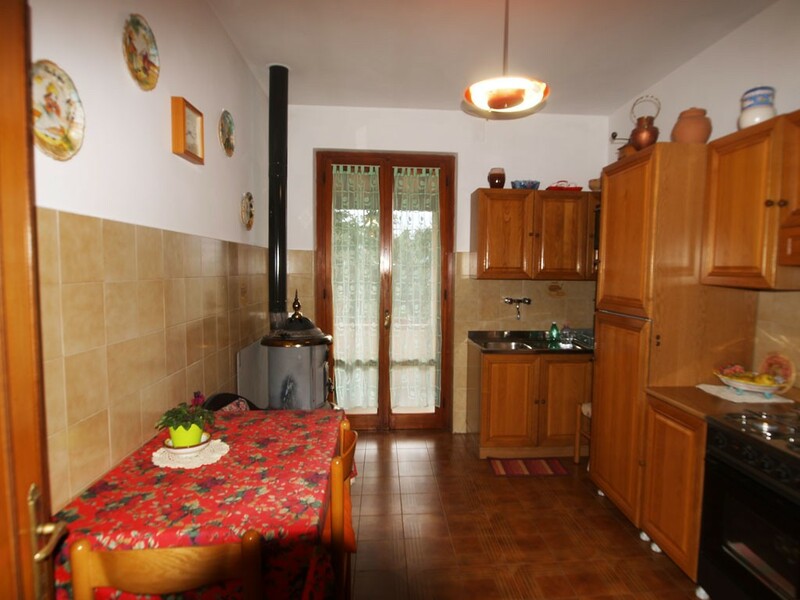 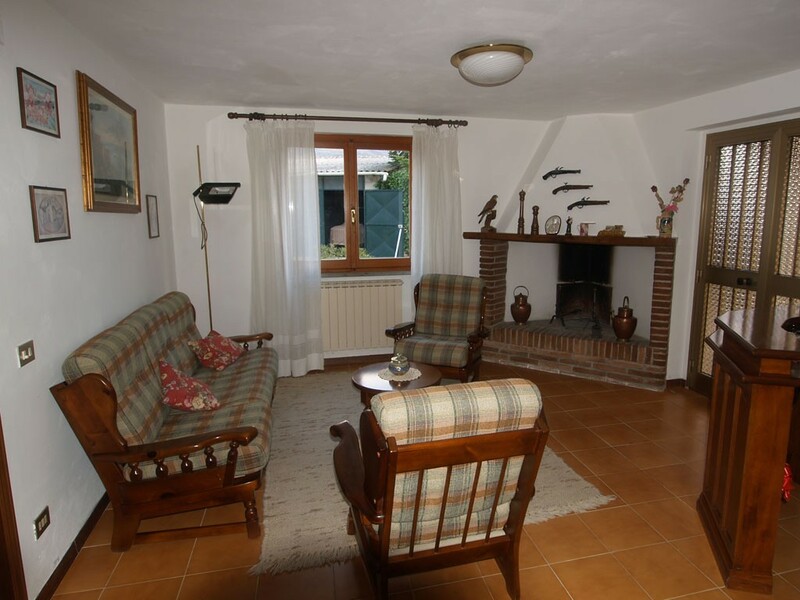 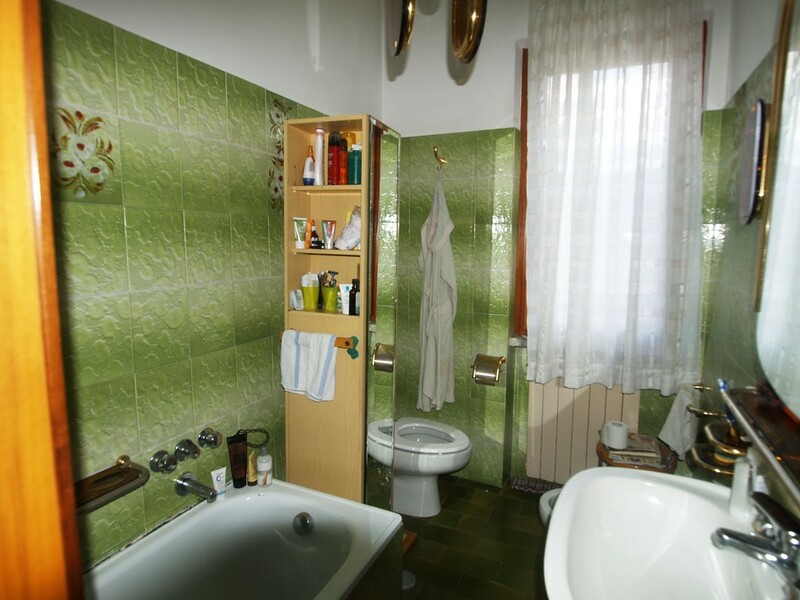 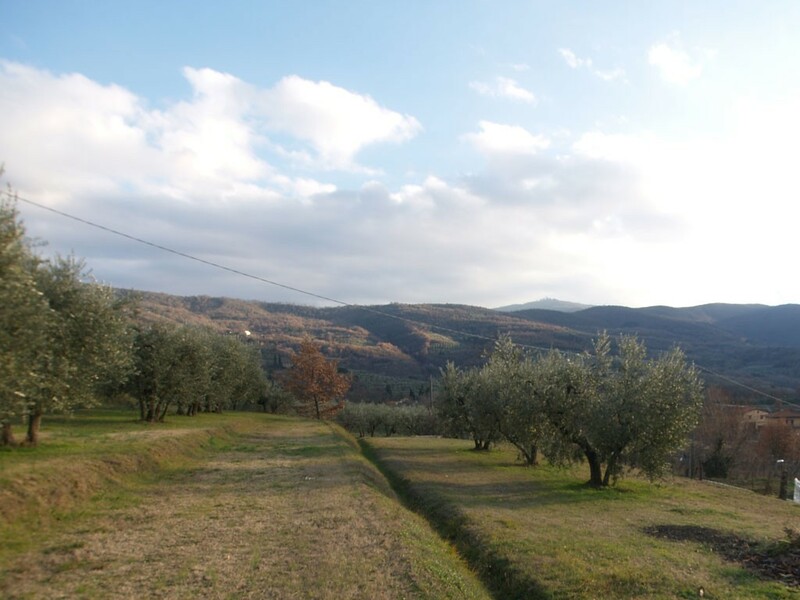 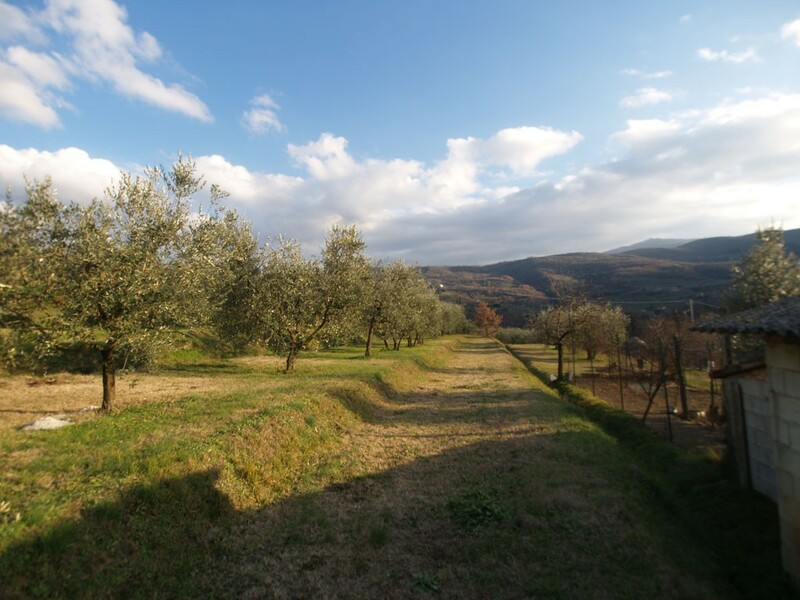 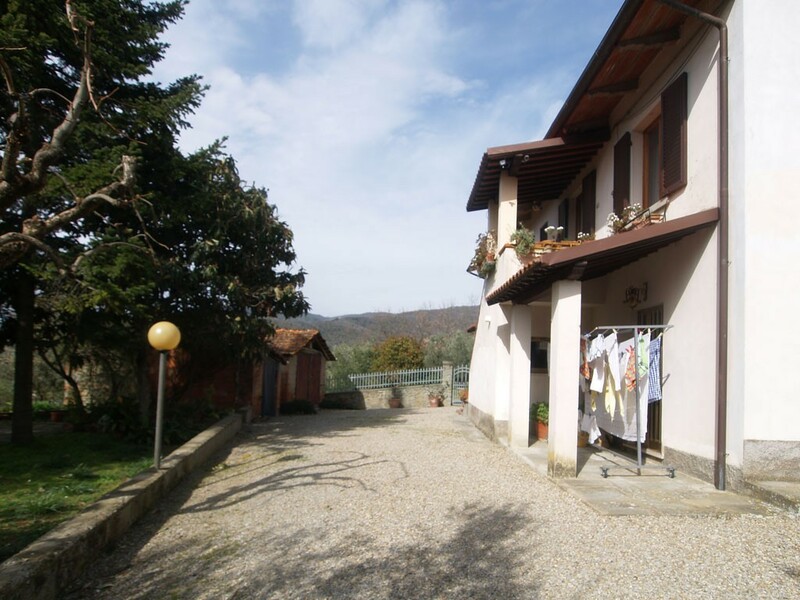 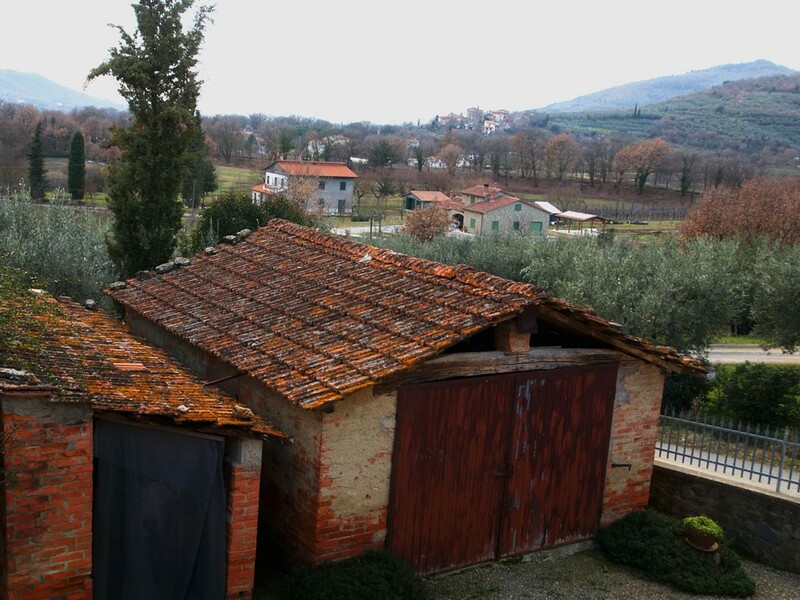 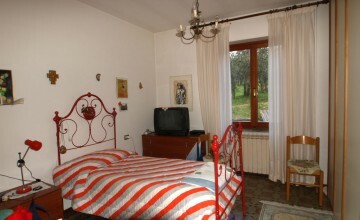 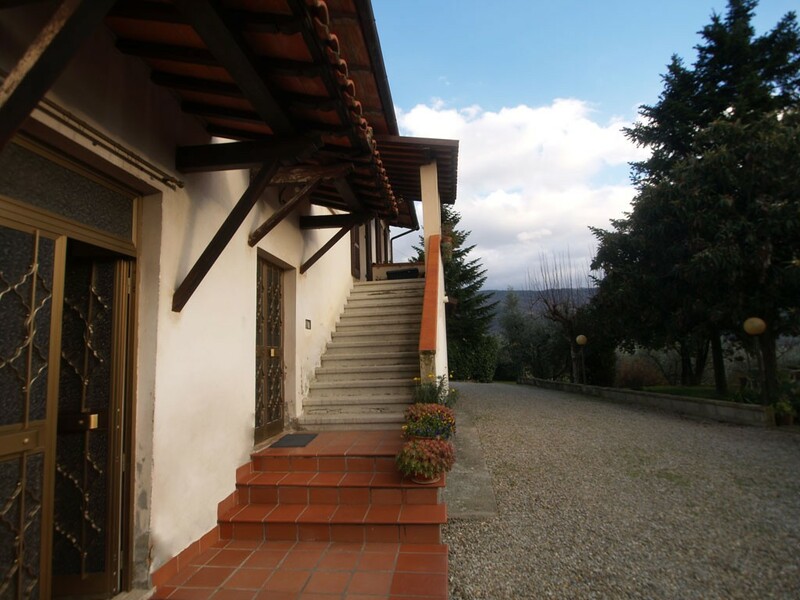 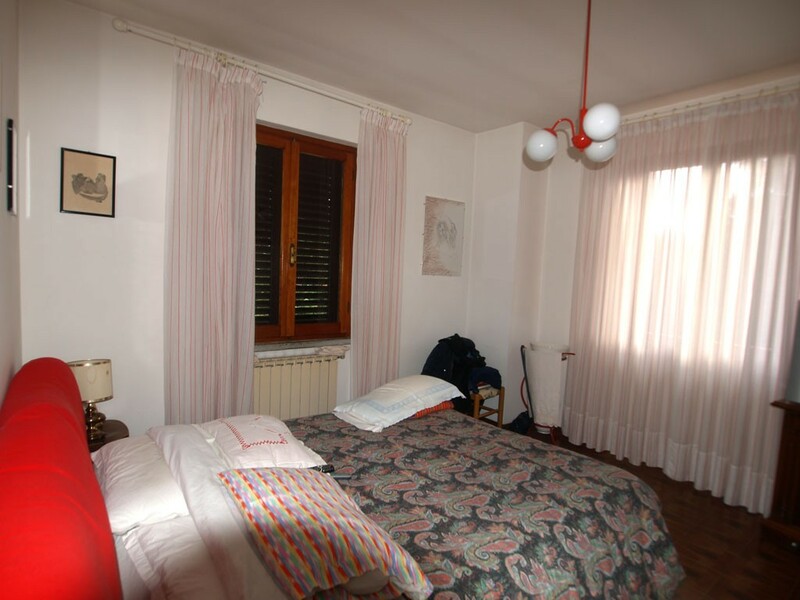 The property is located in a slightly hilly position in the famous for its beauty Val di Chio Valley in the municipality of Castiglion Fiorentino, not far from Arezzo and Cortona. 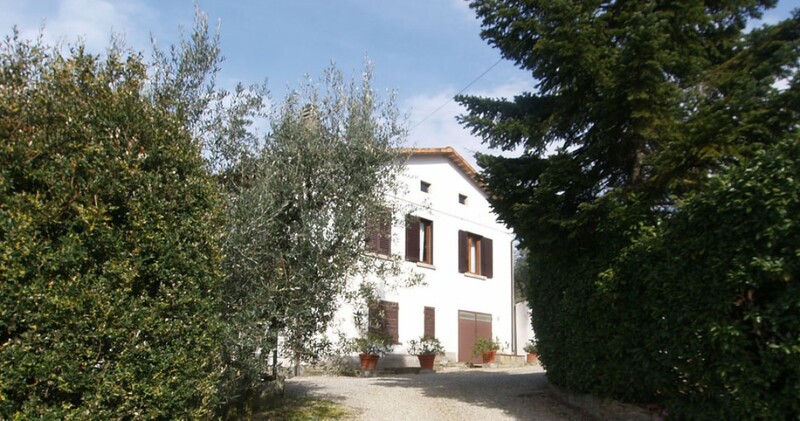 It is a former farmhouse with series of outbuildings for the total of over 350 m2 of surface with 1.5 hectares (3.7 acres) of olive groves in full production. 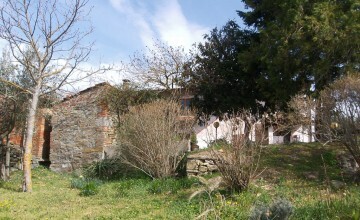 The main house, which measures approx. 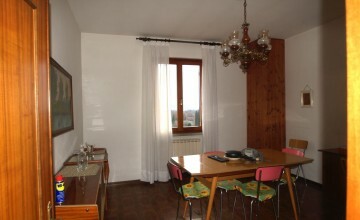 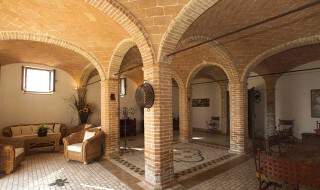 300 m2 ( 3229 ft2), was restored in the eighties according to the popular trends of those years. 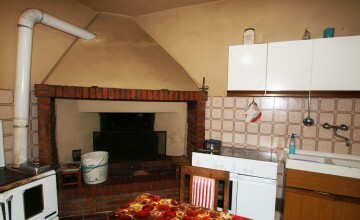 All old pavements in terracotta and beamed ceilings have been removed and replaced with new, solid building materials. 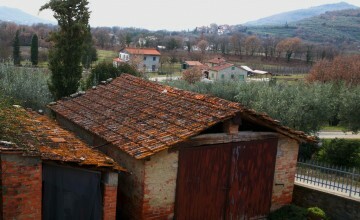 A part from this, works have been made with great care and the conditions are still good after almost 40 years. 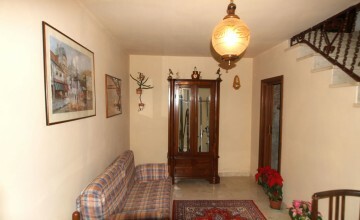 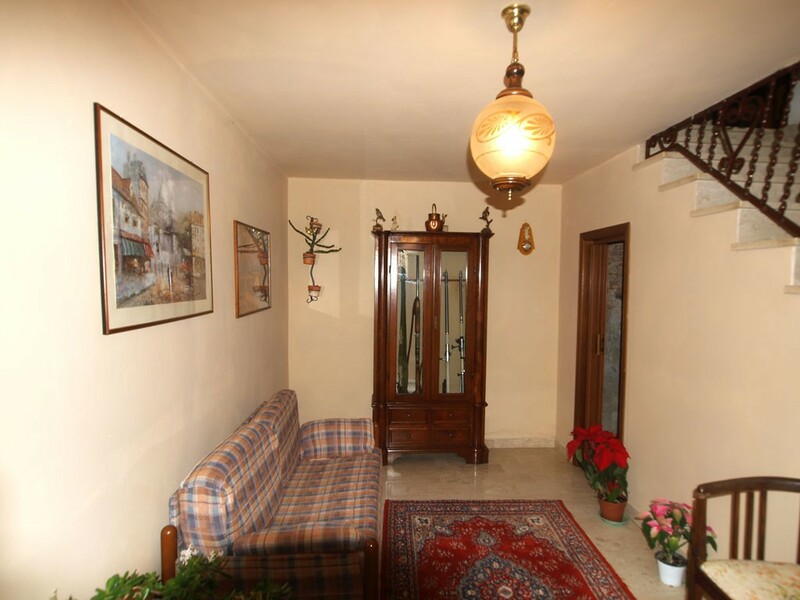 At present the apartment is divided into two units but it can be easily divided into four apartments. 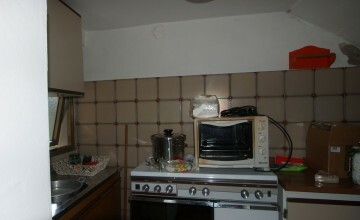 The bigger apartment has a kitchen, sitting room, bathroom and three cellars on the ground floor. 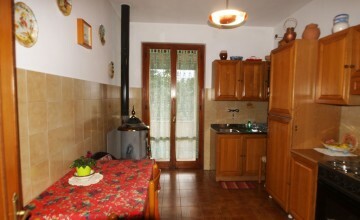 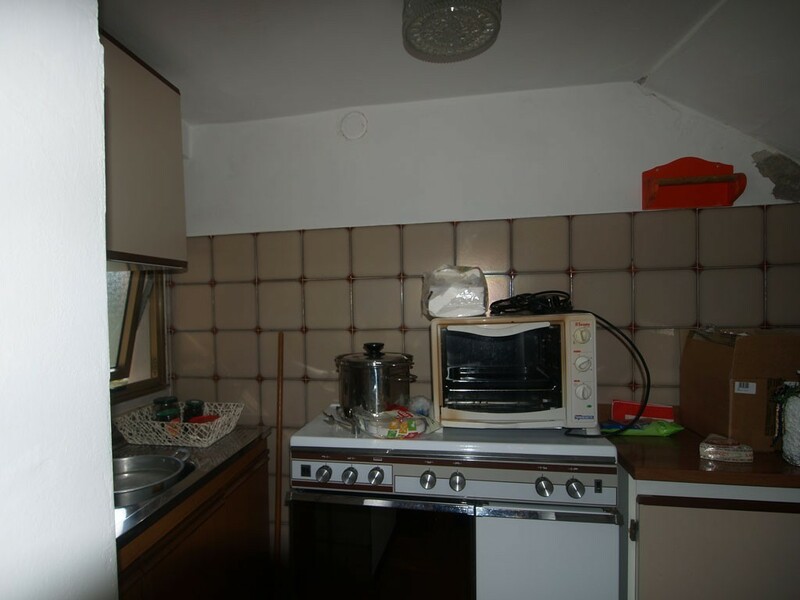 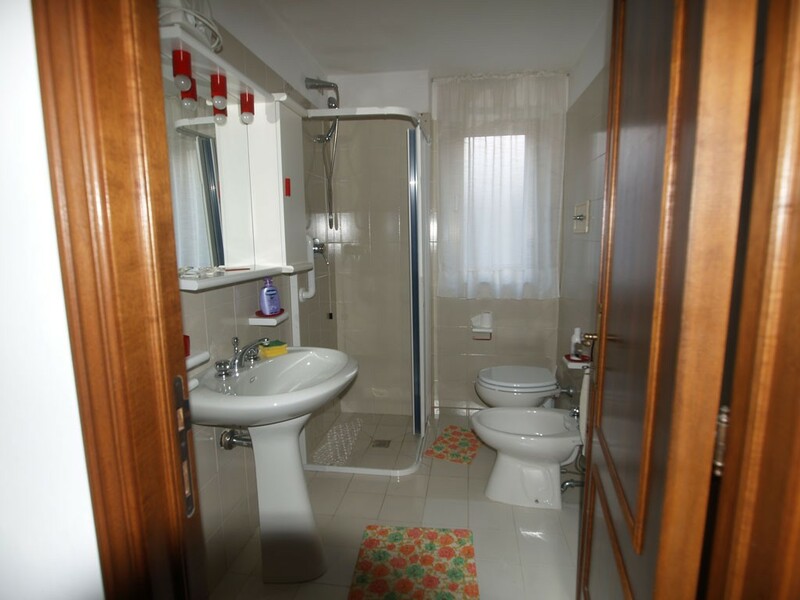 There are two bedrooms, bathroom, sitting room and another kitchen. 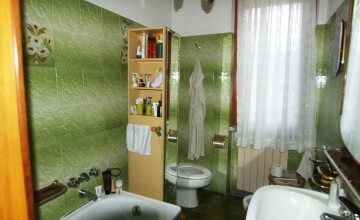 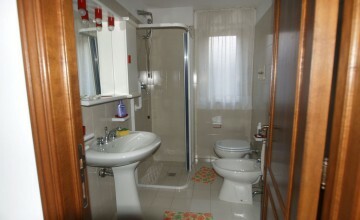 The smaller apartment is on the first floor and features two bedrooms, sitting room, kitchen and bathroom. 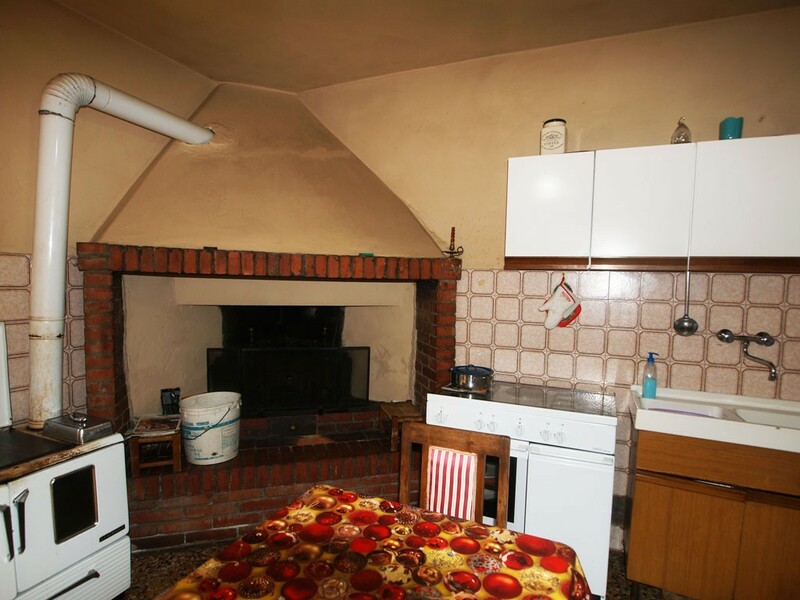 Heating runs on gasoline and wood stoves. 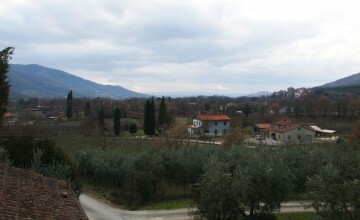 City water and electricity are connected. 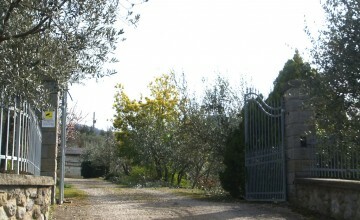 There is also a water well on the premises. 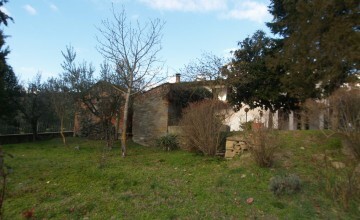 The property also includes six outbuildings and a bread oven. 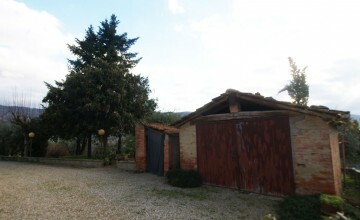 All these smaller buildings have been dully registered and can be turned into additional living space. 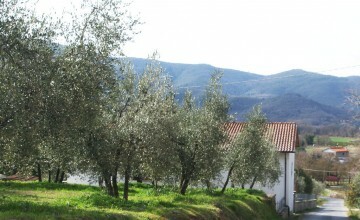 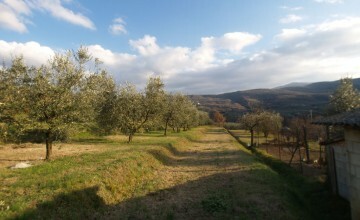 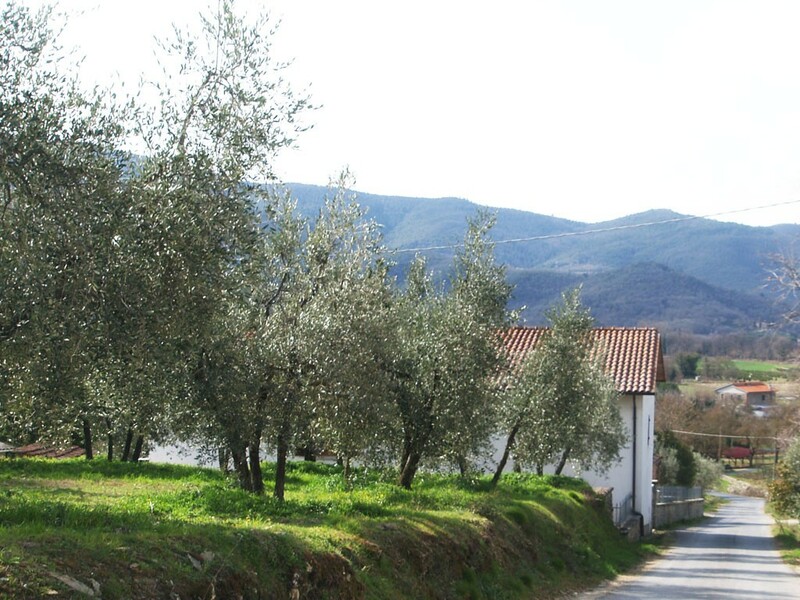 The property extends over and area of 1.5 hectares (3.7 acres) with 150 olive trees in full production. 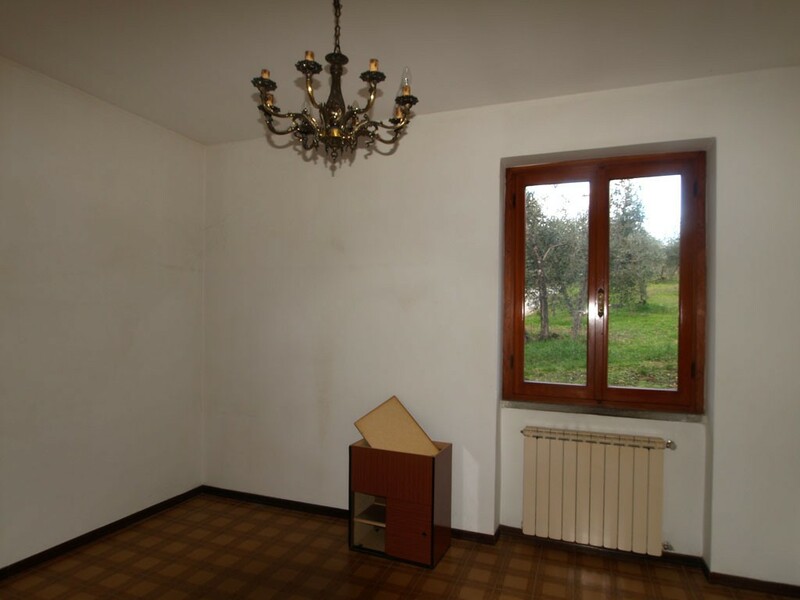 There is plenty of space for a swimming pool. 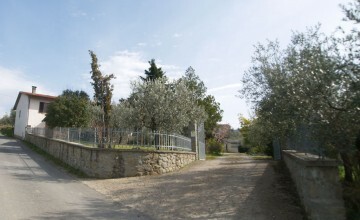 The plot is fenced only from the side of the road. 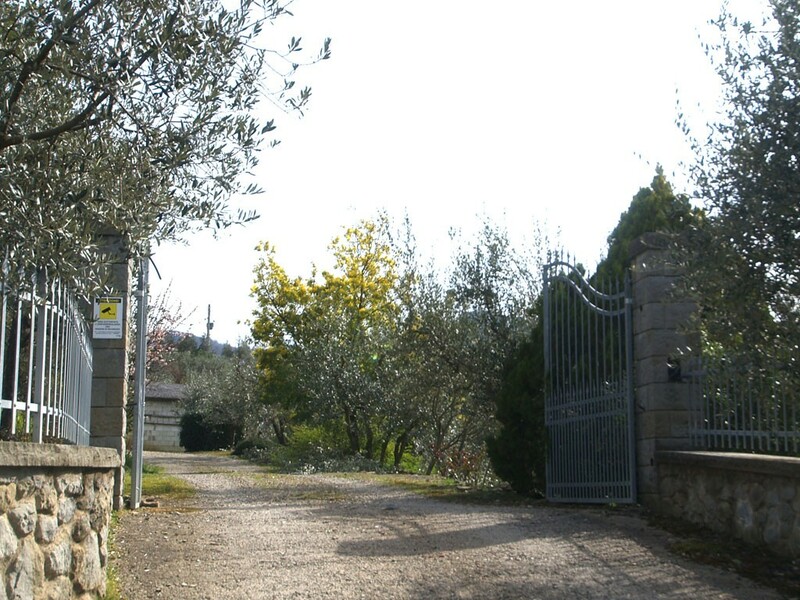 There is a nice entrance gate, ready to be automated. 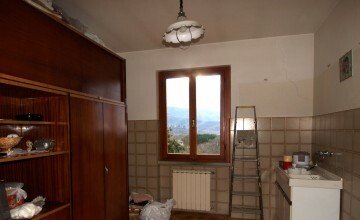 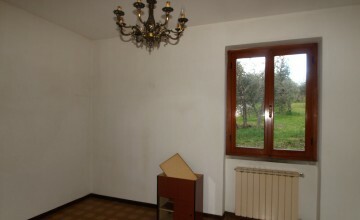 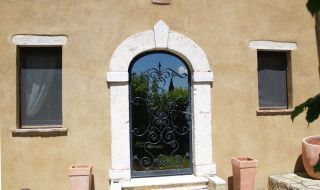 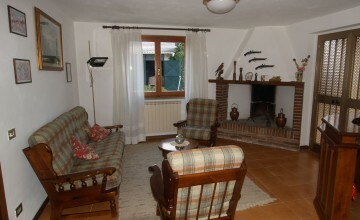 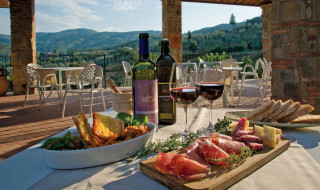 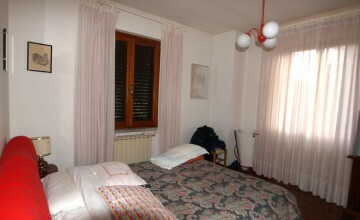 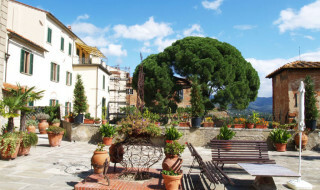 For those who look for a typical Tuscan home the style of the interiors will have to be changes. 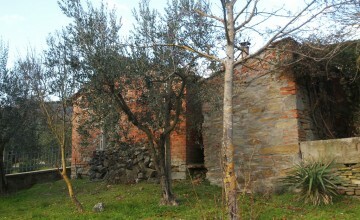 The outbuildings would need to be demolished and their volume used to make another hours or houses. 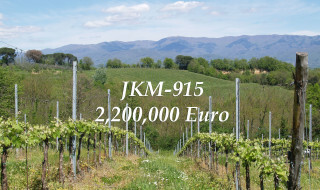 Given the very panoramic position, easy access, short distance from services and great popularity of the area among tourists, it definitely is a property worth investing in. 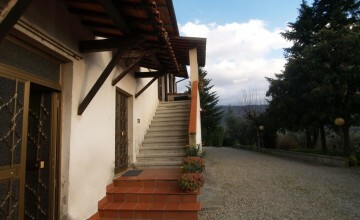 Distances: supermarket and bar – 750 mt, restaurant – 1km, Castiglion Fiorentino - 7 km, Arezzo – 25 km, Cortona – 18 km, Florence – 100 km, Siena – 77 km, Perugia – 65 km.